Brett, tell us a little more about your health/fitness/wellbeing focus. How you got started, and how you stay motivated? I was previously overweight in my late teens and into my early to mid twenties, and always struggled with feeling happy about myself and my health. I used to be 5 stone heavier than I am now with very little muscle too. 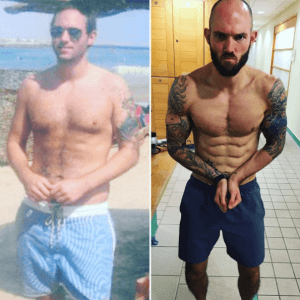 So in my late twenties I started to look more into the fitness and nutrition industry, reading blogs, following “fit pros” online and learning more. I went through all the mistakes most people have, got some success with my weight but not enough for where I wanted to be. I enrolled on a PT/nutrition course to get ‘qualified’, but last year decided to enrol in another Nutrition course to improve my knowledge further. This is Mac-Nutrition Uni, the only evidence based nutrition course available online and is globally recognised as market leading in nutrition. So I guess I stay motivated personally because of years of good habit building, wanting to be fit and healthy for my family and newborn child. I am also motivated to help others do the same, get better relationships with food and to improve their physical health. I came across it in Tesco over a year ago and as soon as I looked at the label I knew I must buy it! The nutrient profile was incredible for a cheese but I wasn’t sure what the taste was going to be like. 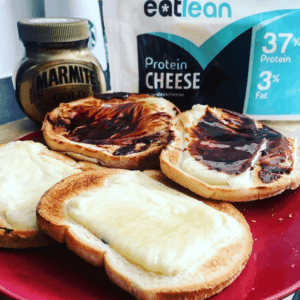 I was massively impressed as other ‘protein cheeses’ I had tried were tasteless and like rubber. Whereas this was still more like a nice cheddar and nothing like others. I am honoured to be chosen by a brand that I truly believe is a great choice for the population. I have no affiliation to any other products because I don’t use them. But I have been using Eatlean because I genuinely believe in it. And that it is an easy food swap to increase the nations protein intake (which is under consumed by majority of general population) and make them more healthier in the quest to lose weight. 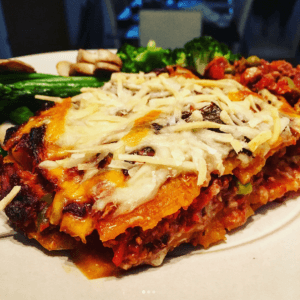 My favourite has to be making a homemade low carb/high protein pizza using a tortilla or flatbread! The perfect Friday night takeaway. Cheese muffins are also a great one!